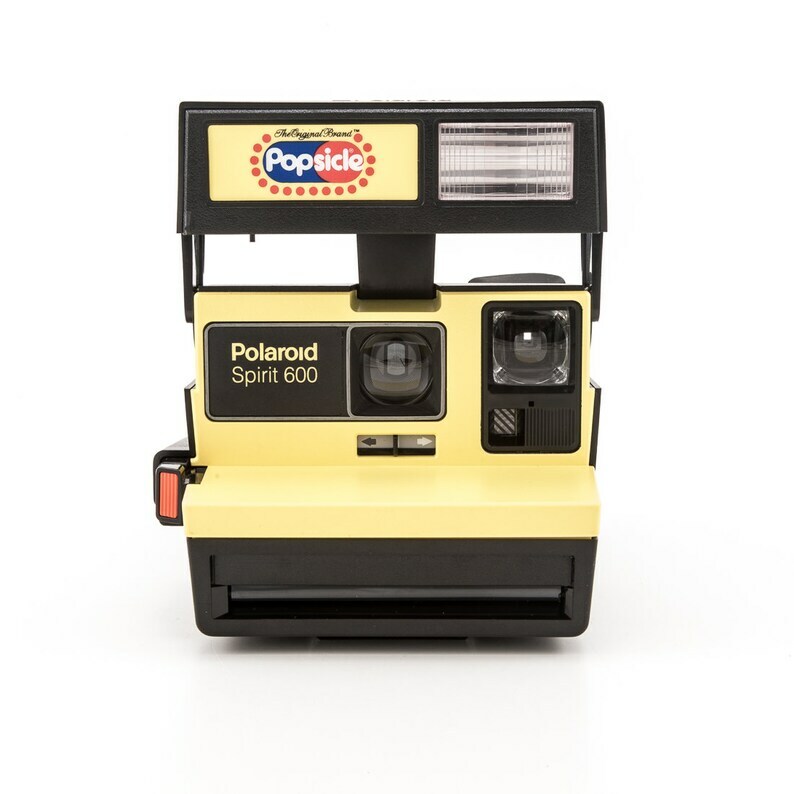 This is a special edition Yellow Polaroid Spirit 600 branded with the Popsicle logo. It is in great condition and looks barely used. The camera has been film tested and is in perfect working order. The output unit runs well, the pressure rollers are corrosion free, and the flash works great. There are two flash indicator lights on the back of the flash unit and they both work as intended. The original neck strap is well attached, and everything opens and closes easily. Please see the photos for more information on the condition. - Lens: 116mm, f/11, Single-element plastic, with sliding close-up attachment. - Fixed-focus (sharpest at 4-5 feet). - Shutter: electronic; automatic speed between 1/4-1/200 sec. - Integral auto flash that works in low light but cannot be forced on or off. - Polaroid's Light Management System (the darken/lighten exposure correction slider). Please note that this camera has been fully tested with actual film and cleaned thoroughly.